Looking For Happiness In Your Life? No matter our situation, we can always use a bit more happiness in our lives. There’s always room to be happier! But how, you ask. Happify is a website and app (iPhone only) that uses recent scientific breakthroughs to develop tracks/activities to help improve your happiness. For physical fitness, we do activities (workouts for the body) to become stronger. It’s the same idea, except for mental fitness. Happify provides workouts for the mind to become stronger and happier! Scientists and game designers created the S.T.A.G.E. framework, which helps you to master the five essential skills of happiness: savor, thank, aspire, give, empathize. I’ve gotta say, it is a pretty awesome website! It’s really simple to use. Go to www.happify.com and create a profile (this is FREE, by the way)! Then you take a quick questionnaire to determine your “happiness score.” The first time I took it, my score was in the low 30s (aka not happy). I took it again recently though, and it raised to a 59! Yay! After you take the quick questionnaire, you are then able to click on activities recommended to you (or you can explore tracks). These activities/tracks are quick and each have an explanation of why it works. They range from things like cope better with stress, to get motivated to get fit, to maximizing your money and happiness! My first activity was a short, three round game where there were hot air balloons with positive and negative words. I was to click on the balloons with positive words, and it gave me points. I was actually smiling a lot by the time I was done; it was so fun! After that, I did a two minute meditation session where I was able to pick the mood and moving picture/video (I picked a sunset over the ocean) with background music. It helped me to feel calm and relaxed. 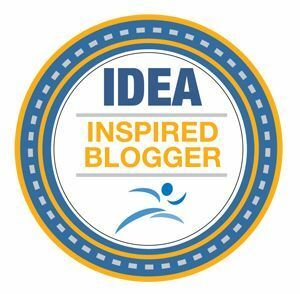 I had the amazing opportunity of teaming up with Happify as an I’m Fit Possible ambassador for a Happify Campaign! Click my link-> Happify -> Sign up, complete one track; if you like it, keep going! If not, no problem. But don’t forget, there’s scientific evidence behind all the Happify tracks. Plus, it’s pretty fun. 😉 Let me know what you think of it in the comments below! I’m really excited because tomorrow morning (Sunday), I am running my first 5k! I’ve walked 5ks before, and I’ll probably walk a good amount of this one because I am doing it with a friend, but this is the beginning of a new chapter for me. I’m going into it with the mindset of a runner, and I notice that it is helping me to think of what I want to do to prepare for my half marathons coming up in the next six months. I am dedicating the Culver City 5k to my dad. He lives in Ohio (where I am from), and we have always been very close. I live in Los Angeles now, and it’s difficult being away from him and my mom. Since the 5k is on Father’s Day, I’ve decided to participate as an independent woman/runner/mental health advocate/overall health advocate, because that’s who my father raised me to be. I’ve gone through a huge transition in my life this past year, and this is the very first Father’s Day I will not be able to see my dad. I have so much excitement and happiness, I don’t even know where to begin! The past year has been wonderful, but very rough. I moved to Los Angeles from Cleveland in February 2013, and the life event threw me into the worst bipolar depression I have ever experienced. It hit me hard at the end of April/beginning of May 2013. I barely left my apartment for five months. I laid on our mattress.. in my living room.. on the floor.. in the AC.. with the blinds closed.. for FIVE MONTHS. I watched 14 seasons of Law and Order: Special Victims Unit. That takes serious dedication (to my living room floor). During this time, I didn’t care about my physical health. When my mental health is that messy, it’s hard for me to even shower (my boyfriend can vouch for this). As hard as it was to admit, I gained a lot of weight. I ate the worst possible foods, and my addiction to soda showed up again (I had given it up for good that past December). But it is worth it. Because these symptoms will eventually go away, and I am finally able to not have soda! I’m finally able to not have chocolate, or ice cream, or grains, or refined sugars/carbs. Yeah, it’s still challenging, but my mind is so clear on my goals that I am able to not have those things! I so badly want to be healthy. I want my digestive issues (candida, leaky gut, etc) to be better. I want to lose this weight (not necessarily to look better, but to feel better). I want to run a half marathon (13.1 miles) this year. I want to be able to somewhat control my moods and emotions. Life is completely different when you learn to eat for your health, as opposed to weight loss. When you learn how to have a sustainable diet (again, diet meaning what we eat). I am even learning how to cook and enjoying it! I have never liked cooking haha. I am loving my Practical Paleo and 21-Day Sugar Detox cookbooks from Balanced Bites! I used them to make dinner for my boyfriend yesterday (which he loved!). *Side note: the 21-Day Sugar Detox comes in two parts: the cookbook and the guide book. I am learning to love my body and myself each and every day. People who say “I’ll be happy when I am this weight.. this size.. this wealthy..” and so on, those people will not find happiness. Not authentically, anyway. I used to be one of them. But we get to live in the moment, and love ourselves every single day, as we are. So my point of all this is that it feels so good to have my mindset on track after an entire year! I cannot stress enough how important it is to practice self-love and personal development (read books, go to therapy, join a support group, whatever it is for you), and also to really listen to your body. Pay attention to the foods that serve you and the foods that don’t. Eat for your health. Our bodies are so incredible, they fight so hard for us, don’t we want to fuel it properly? How do you get your mindset in alignment with your goals? I am sooo incredibly excited to announce that GetFitWithLynds is now The Balanced Brunette! I’m sure it has been a little confusing for some (even myself! ), since the name change is so sudden and different, but I am beyond excited for this next chapter! I chose The Balanced Brunette for a couple reasons. For one, it felt right. I kept thinking of other names, but this is the one I kept coming back to. For two, balance is the theme of my life (and many others, of course). I have always been attracted to the yin & yang symbol. Having a chemical imbalance, it’s only natural that I am attracted to balance. In my mind, body, and life. Mental, physical, and spiritual. For three, I’m a proud brunette! Haha, but seriously. I’ve changed all my social media accounts to match my blog. I hope you will follow me on this amazing, exciting journey! Energems Review + A Giveaway! I had the wonderful opportunity of reviewing Energems and jumped at the chance! I have had issues with energy for as long as I can remember. I’ve tried (what feels like) everything, and wanted to see how Energems would work for me! Not only are Energems effective, but they’re delicious! They are literally like big M&Ms®. And taste like it! There’s a bit of a weird aftertaste, but it only lasts a few seconds or so. There are three flavors: chocolate, mint, and peanut butter. What I love about Energems is that they are convenient. I am always on the go (I nanny, dogsit, dogwalk, work at a wellness center, and more! ), so convenience is perfect. Knowing I can wake up, eat some delicious chocolate, and get energy from that is perfect! Plus, they’re only 45 calories per serving (3 pieces). Love it! The energy burst comes from a proprietary energy blend of D-Glucuronolactone, Taurine, Caffeine, and Suntheanine® (L-Theanine), and also B-vitamins. Plus, it’s made with real milk chocolate! I definitely recommend Energems for people who want an energy boost, especially on the go! With that, I am doing a GIVEAWAY for one winner! I tried all three flavors for myself, but saved the other three boxes for one lucky person! Simple as that! The giveaway ends on Wednesday, May 21 at 9 p.m. PST. Good luck!!! To check out Energems and purchase some of your own (you know you want to), visit their website here. Thank you Energems for the opportunity to try and review your amazing product! Disclosure of Material Connection: I received one the products mentioned above for free in the hope that I would mention it on my blog. Regardless, I only recommend products or services I use personally and believe will be good for my readers. I am disclosing this in accordance with the Federal Trade Commission’s 16 CFR, Part 255: “Guides Concerning the Use of Endorsements and Testimonials in Advertising. A couple weeks ago, I posted about my new nutrition plan and why I was doing it. As a recap, I am following a plan called the GAPS diet, which basically means my digestive system is not a happy camper. The past four months have been very stressful, which led to an excess of cortisol being released (stress hormone), sugar and refined carb cravings, poor nutrition, and then an overgrowth of candida. I could go on and on, but those are the ones that really stood out to me. It has been a rough 3 weeks! But I feel like I am finally getting over the hump of the worst part. I started a 21 day cleanse (through Herbalife), I’m taking a supplement called FloraFiber daily (probiotics), and I just ordered goldenseal root (to push the candida out) and another probiotic. I already feel so much better!! I definitely have a ways to go with getting healthy again, but I can already feel a difference, and it is soo comforting! Sugar addiction and sugar detoxing are no joke. I was blaming myself for having a hard time cutting it out completely, but I was reassured that it really is my body that craves the sugar! It’s so similar to a drug addiction, it’s crazy. Did you know sugar is 8 times more addicting than cocaine? There was a study done on rats, and the rats chose the sugar over the cocaine every time. Anyway, I feel like I’m rambling. I wanted to share a little bit of an update about this sugar detox since I know a few of you are following my updates (which I so so appreciate!!). If anything, I have totally learned how essential it is to truly take care of our bodies. Yes, I knew it was important before, but I feel like now, I have a deeper understanding of why we need to nourish our bodies with real food and get those toxins out through exercise. So many of us are living with poor gut health, and we don’t even realize it! I can’t stress enough how important it is to take care of our digestive system. 90% of our immune system is in our gut. UPDATE: I’m Fit Possible ended their ambassador program in September 2014. I announced this a few weeks ago on here, but I’m sharing it again: I am an I’m Fit Possible Ambassador!! I love the community of supportive, energetic, happy people who share the same passion of health and fitness. 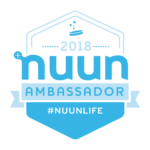 It’s an amazing feeling, being able to get online in the morning and have posts and comments from fellow ambassadors on Facebook, my blog, Instagram, Twitter, etc.! Who doesn’t love a supportive community? “We are social, big hearted, creative fitness enthusiasts. We believe in unplugging and heading outside. We believe that the best workouts are the ones done with family and friends. We try and sweat every day, but if we don’t we won’t sweat about it. We love to try new things and if we love something, you’ll hear about it. Oh and smiles, hugs and high fives are not negotiable. Just like it says, to me, being fit possible doesn’t mean you have to have a 6 pack or a thigh gap, or can run the fastest mile, or whatever. To me, being fit possible means anyone can be fit. And that definition of fit is different for everyone! As long as we are trying to be a little bit better each day, and we’re moving our bodies and trying to eat healthy foods, then we are fit possible. HOWEVER, if having a 6 pack or thigh gap or running the fastest mile is what makes you feel fit possible, THEN PERFECT!! That’s the amazing thing about the I’m Fit Possible community- we all have different goals, and we all support each other with those goals. How amazing is that?! It’s a tea bottle (has an infuser at the top) that obviously says I’m Fit Possible, a sample of Tisano tea (I received mint cacao! ), a sticker (where should I put it?! ), and a hand-written note welcoming me! It seriously made my day. And I use the bottle every single day! So Tara, THANK YOU so so much for allowing me to be a part of this family, and for recognizing that we can be “fit” even if we don’t have a 6 pack! 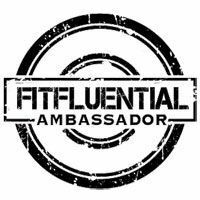 Check out I’m Fit Possible on Facebook, Twitter, and Instagram to see what all the ambassadors are up to! There are two main reasons for this post. Let’s start with what the plan is. It’s called the GAPS diet. GAPS stands for Gut and Psychology Syndrome and was developed by Dr. Natasha Campbell-McBride. Basically, my digestive system is in poor health. When I am stressed, I eat a lot of sugar and refined carbs. Read my previous post about my sugar addiction for a little bit of a background. In addition to this, I have bipolar disorder. I don’t want to take medication for the rest of my life, and I am very aware that good nutrition and regular fitness are very important for both physical and mental health. I decided to take a mental health coaching program from a holistic wellness coach who has bipolar disorder, and has successfully managed her bipolar without medication for one year. It really is a different feeling when you’re eating for health as opposed to eating for weight loss. It’s so much easier. Don’t get me wrong though, it is by no means EASY. It’s been four days and I am struggling. Sugar addiction is no joke. I crave it and I get really moody when I don’t have it. But I am finding alternatives, and today has been a really great nutrition day! So I feel optimistic about it. While on the GAPS diet (however long I decide to be on it- at least five weeks), I cannot have grains/gluten, dairy, sugar, anything processed, and soy. This leads me to the second point of this post. Because I am doing a nutrition plan that does not allow soy (which therefore does not allow Herbalife meal replacement shakes, except allergen-free, which is totally fine), I do not feel authentic when talking about it at this time. I get that some people will not understand this. That since I have been with Herbalife (and I am successful with it), I should only promote Herbalife, no matter what. And okay, I do get that for some people. But it doesn’t feel right in my heart promoting something that I am not currently doing. It is not authentic. It denies me integrity. I will eventually introduce certain foods back into my diet, like my Herbalife shakes (trust me, I miss them!). I still love the products, I can still share about my experiences with them, and I still love the company. My current nutrition has nothing to do with Herbalife as a company or even a product. My current nutrition/situation has nothing to do with anyone or anything BUT ME. I will be posting updates about my mental health coaching and GAPS diet weekly! I have never had the desire to buy high-end fitness apparel, and hadn’t even heard of brands like Athleta or Lululemon until I moved to Los Angeles. Where I grew up (just West of Cleveland, OH), that just wasn’t a thing. Then I moved to LA, and realized I am worth the more luxurious athletic wear! I heard of a brand new opening of Athleta at Fashion Square in Sherman Oaks, and after seeing their super cute clothes online, I decided to check out the store in person. I was greeted by two of the most wonderful women, Tatiana and Kara. They were both energetic, positive, beautiful, and excited to help me find what I was looking for. Shortly after, I met the store manager, Samantha. She was wonderful, too! I was the only person in the store at the beginning, and I felt so special, because they really paid attention to me and what my needs/wants were. Various customers came and left while I was shopping, and I still received amazing customer service! That doesn’t seem to happen very often anywhere else. My favorite fitness is yoga, but I don’t have a lot of great yoga clothes, and needed help picking out an outfit. Kara was AMAZING! She showed me her favorites, customer favorites, what would flatter me most, and so on. They even have super cute, quality swimwear! Kara set up a dressing room for me, and even put a few pieces in there that she thought I might like! I felt like royalty, as silly as that sounds. It feels good to be taken care of, even if it’s for a short period of time in a store! When I was walking into Fashion Square to find Athleta, I actually saw a display of mannequins sporting Athleta wear. I realized as I was leaving that those were some of the pieces I had tried on! I have a really hard time finding sports bras that fit well because I am pretty well-endowed (haha, but seriously). I tried on the exact sports bra in the picture above, and it fit me better than any other sports bra I’ve ever worn! I tried on the exact same shirt, too, and it was so incredibly comfortable! The shirt is more for sizes A-C cup though, so unfortunately it wouldn’t be able to hold me without wearing something else with it. Another amazing thing about this specific location is that they host free workouts in the store! On Saturday mornings from 9-10 am, they have black dog yoga and/or pure barre. On Sunday mornings, they have zumba from 10-11 am! The schedule changes though, so you can check out May’s schedule here. I was so pleased with my experience at this location, I even told my boyfriend I wanted to apply for a job there! The atmosphere was awesome, the store itself was super chic, and I could go on and on about the amazing clothes. I mean, what’s better than an outfit that you can wear to yoga or zumba, and then be able to wear out in public and still look amazing?! I also have the Revelation Capri and Breathe Tee. I highly recommend checking out Athleta’s new location in Sherman Oaks! It’s only a 20 minute drive from Culver City. You’ll get more than a shopping trip, you’ll get a luxury experience, at least in my opinion! A store that looks great (modern, chic, clean), has a great staff (happy, positive, helpful, energetic), and a great product (the most comfortable/cute active wear ever) is a store that I will definitely be spending a lot of time at! And again, free workouts?! Done deal. 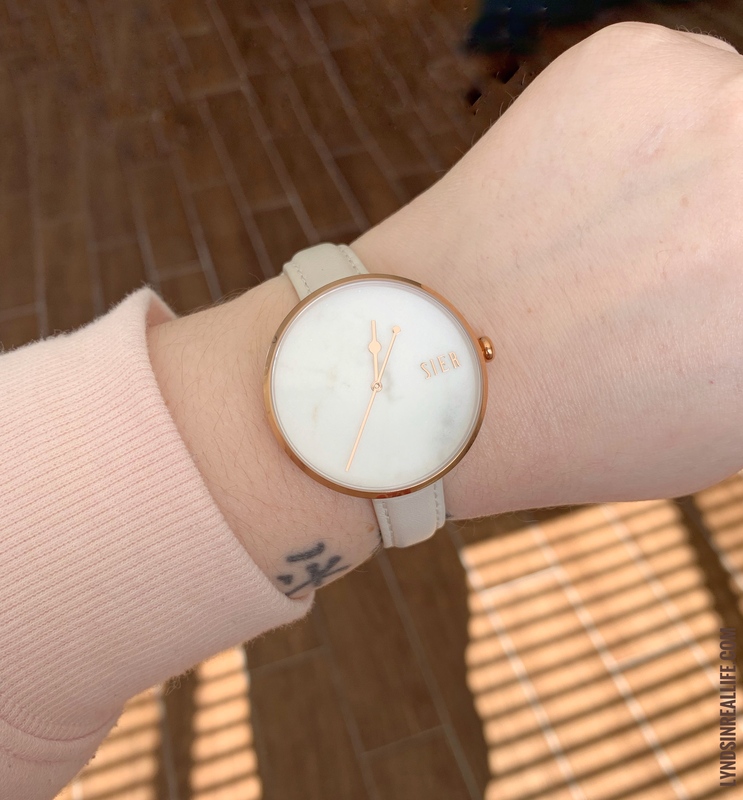 Disclosure: I was invited by the general manager at Athleta Fashion Square to help promote this location by writing about it here on this blog. In exchange for writing this post, I received a $50 gift card toward Athleta active wear. No other compensation was received. All opinions are 100% my own.